Born in 1929 in Seattle, Washington to Iver J. Olsen and his wife, Anna, Donald J. Olsen earned his BA, MA, and Ph.D. from Yale University, completing his studies at Yale in 1954. He taught history at the University of Massachusetts and University College of Hull, England, before joining the Vassar faculty in 1955. Olsen held the Eloise Ellery chair of the history department from 1970 until his retirement in 1994. 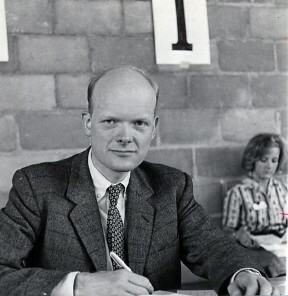 He also was the chair of the department during the early 1970s. Olsen was well-known for his expertise on urban cultural history, winning the 1987 British Council Prize in the Humanities for his book, The City as a Work of Art: London, Paris, Vienna. The prize pronounced his work as the best book in British studies in the humanities published anywhere by a North American scholar. A fellow historian, David Cannadine, wrote, "A marvelous book, which brilliantly relates the form and functions of these three great cities to the political cultures and social values which moulded and created them." The book The City as a Work of Art was the product of Olsen's second Guggenheim Fellowship, awarded in 1979. His first, awarded in 1967, funded research on the management of two large British urban leasehold estates during the nineteenth century. In 1959, Olsen had received a Fulbright Fellowship in to study town planning as done by large landowners in London before 1900. The product of that fellowship was Town Planning in London: the Eighteenth and Nineteenth Centuries, published in 1964. Olsen used his celebrated research as the basis for his advanced seminar at Vassar, also titled "The City as a Work of Art." He maintained "that the city, as the largest and most characteristic art form of the nineteenth century, has something to tell us about the inner nature of that century." However, not all of Olsen's work at Vassar depended on his writings. He taught courses in English history, medieval and Tudor England, Georgian England, and contemporary Britain, alongside his seminar work. Colleagues and students remembered Olsen as a generous and involved individual, serving on various committees within the department and college and willingly advising all those who sought him out. In his life beyond the college, Olsen was an avid traveler and a lover of railroads. He rode many of the world's famous railroads in his time, and had an extensive collection of rail timetables. Most of his adventures were solo trips, which were all the more impressive in view of of his physical restraints. Olsen was born with spina bifida, a disease that paralyzes the lower limbs. Doctors never expected him to be able to use his legs, but as a young man, he somehow managed to learn to walk with crutches. By his fifties, however, his strength gave out, and he was consigned to a wheelchair. Despite the wheelchair, Olsen loved to travel and was determined that his handicap would not impede his ability to see the world. His article, Domestic Manners of the Australians, gives readers a true sense of Olsen's open mind and adventurous spirit. The article, which describes Professor Olsen's experiences in Australia, expresses his fundamentally intellectual approach to travel. He writes of Australia and its cities lovingly, drawing upon an immense wealth of architectural memory to compare the cityscapes of Australia to those of his beloved Britain. The aesthetics of an historian pervade his experience – his easy embrace of Australian sights and sounds depends upon the historical comfort he finds in his new surroundings. He sees no parallels between modern Australia and modern Britain, but he can feel the impact of earlier generations of British immigrants in the "arcaded sidewalks," the "wrought-iron balconies," and the "distinctive terrace housing" of Australia's capitol cities. He writes, "For the Englishman or American, a remarkably effective means of recapturing fragments of his own national past is a trip to Australia." No longer a foreign experience, Olsen's account of his time in Australia is more like a familiar walk through the past. Olsen wrote many other articles beyond Domestic Manners of the Australians. He was a frequent lecturer, speaking at institutions on both sides of the Atlantic. The American Historical Association, the American Society for Eighteenth-Century Studies, the Society of Architectural Historians, and the London Topographical Society all claimed Olsen as a member. He wrote reviews for journals, and served as an editorial advisor for The London Journal. His achievements earned him a mention in the 1975 Who's Who in America. Donald J. Olsen died of a heart attack on May 19, 1997, at his home in Seattle Washington. His mother, Anna Olsen, survived him. He was sixty-eight years old. Biographical File. Donald J. Olsen. Vassar College Special Collections (VCSC). "Donald J. Olsen" London Times June 1997. Olsen, Donald J. The City as a Work of Art: London, Paris, Vienna. New Haven: Yale University Press, 1986.